The coalition will not hand the left a 'propaganda victory' by showing up for a Knesset no-confidence vote Monday, said MK Yariv Levin. Mondays in the Knesset are generally the days reserved for no-confidence motions – proposals by opposition parties to break up the government on the any number of pretexts, from failure to deal with poverty to the Prime Minister's proclivity for purchasing ice cream. The motions are generally harmless, and almost always fail – providing mainly an opportunity for opposition figures to make a speech. In light of the security situation, it had been understood that there would be no no-confidence votes this Monday. But leftist and Arab parties decided Monday that they would file their no-confidence motions on Monday anyway. The motions call for the dissolution of the government on the basis of the “suffering” the IDF is causing the Gaza civilian population as it attempts to smash Hamas terrorist forces. 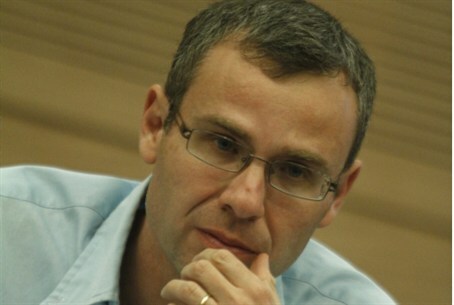 Coalition chairman MK Yariv Levin slammed the decision. “As opposed to the custom in the Knesset that has prevailed for many years, Meretz, Hadash, Balad and Ra'am-Ta'al are planning to offer a no-confidence motion today,” Levin said Monday afternoon. “They do this as the operation in Gaza is going at full force. Under these circumstances, we in the coalition have decided not to be a part of this propaganda campaign by these parties,” Levin said. As a result, the no-confidence motions are likely to pass – but the left and Arab parties will achieve only a symbolic victory, as 61 votes are needed to bring down the government, a number the parties are unlikely to achieve.